Apart from including all the automotive diagnosis capacities in X431, the new release integrates more functions like engine analysis, oscilloscope, sensor signal simulation, battery test, automotive multimeter and automotive database into one unit. Much lower in price than a group of single-function tools put together, it is the most affordable multifunctional automotive performance tester. X431TOP adopts Bluetooth technology for wireless diagnosis, which allows for testing anywhere within 15 meters from the vehicle. When connected with a vehicle diagnostic socket, it can perform tests quickly and easily. Purchase of X431TOP includes access for an entire 12 months to the full update programme! 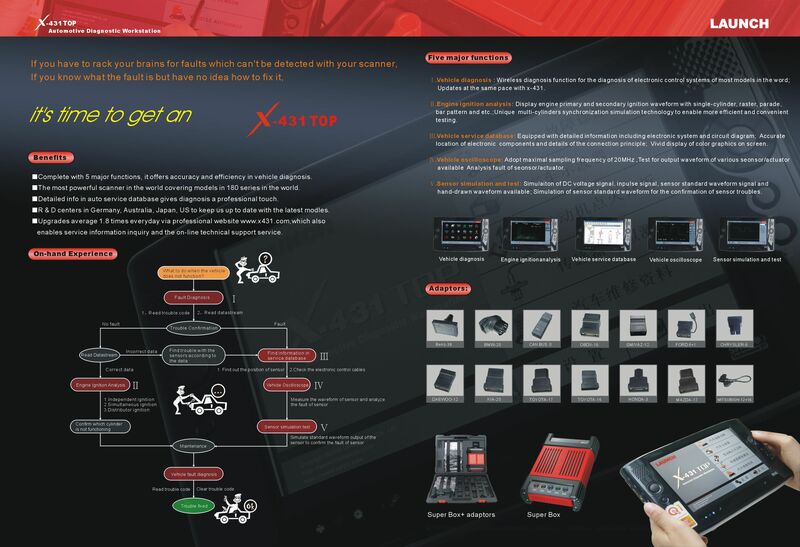 Diagnosis: Powerful wireless diagnostic functions of X431TOP are compatible with diagnosis with cable connection. Capacities cover tests on Automotive Engine, Auto Transmission, Airbags, ABS and other systems for European, American and Asian vehicle models. Being the top-grade scan tool for M-Benz and BMW, it covers as many as 148 electronic systems. X431 Top can also save live test data for analysis. 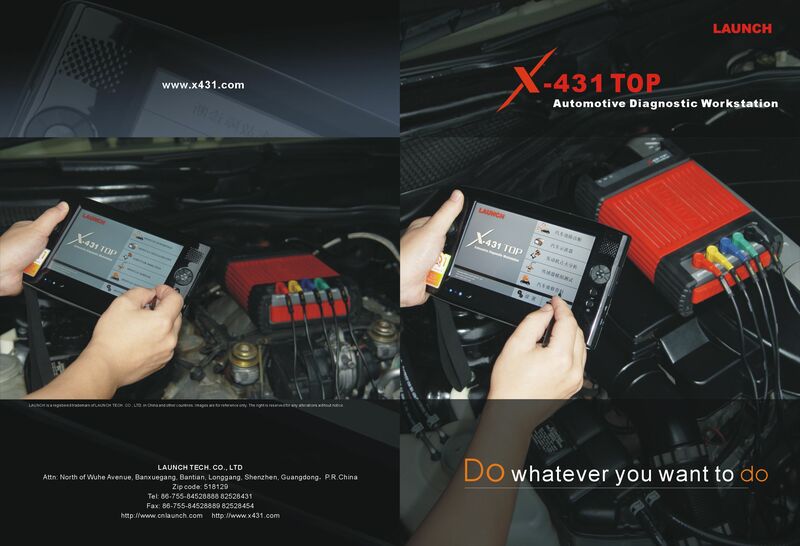 Engine Analyzing: X431 Top incorporates the capacity of displaying primary / secondary ignition wave, characteristic waveform of DIS, starting current, charging voltage and intake manifold vacuum. Sensor Simulation: X431 Top can be used to simulate DC voltage signal, pulse signal, standard sensor signal and any hand-drawn waveform. 4CH Oscilloscope: With a peak frequency of 20MHZ, the scan tool can be used in the measurement of output waveforms from the sensors for analysis. 50 waveforms can be kept permanently. Battery Test: X431 Top can monitorthe performance of batteries and provide data for maintenance. Multimeter Function: X431 Top can be used to measure the output voltage, resistance and frequency of the sensors to ensure the proper performance. English, German, Japanese, French, Polish, Turkish, Russian, Italian, Spanish, Portuguese, Dutch, Arabic, Simplified Chinese and Traditional Chinese. 2. Input impedance: 10 MΩ. © 2007 Car Logic Bulgaria.